У меня на одном объекте сразу три панели таких вылетели KTP400 BASIC (6AV2123-2DB03-0AX0), с очередностью в день. Помогло только восстановление с флешки (USB Recovery (Reset to factory) Mode for 2nd Generation Basic Panels) и то не все прошивки заработали, вроде только с 14.0.1 пошли. Да вы правы. Симуляция для S7-1200 (FW V4.x) появилась с V13 SP1 при установке PLCSIM V13 SP1. 1. Настроить фильтрацию в hardware канала. Do you have brake resistor (connected to the 2 drive)? I couldn't download file (it gives me some .exe file). Please give direct link. Upload your parameter file I'll try to help. AP program or parameters? If parameters then you need Drive Composer. Hmm, as I thought — nobody have. And where/why disappeared Linkinx64? Try to use documentation from another SAMI products (maybe some parameters will be the same). For example SAMI STAR. Hi, I don't understand, you need firmware or software manual for ACS800? All manuals you can find on ABB drive page. DriveLoader is separate service software. THIS is the direct link to Drive Composer Pro 1.5.0.0. Thank you very much for such present. It took me about eight hours to download and install all =). In THIS topic Linkinx64 gave the link for downloading (DriveWindow_v2.30.zip). I checked, it's working. It on Filefactory but you don't need to registrate or something. The link from Linkinx64 is working. HERE you can download the update to 1.6 version. Thanks Linkinx64 for your help with CB v2.2. Maybe you have v2.3 (need for ACS880 drive) or you know how to upgrade the old one? Service pack 1.4.3.0 include the full programm, but you can use it only for one month (it doesn't have the registration key). This is only update for DL1.1 to DL1.2 . You can use port number two or anyone else, it doesn't matter. Show the parameters of your COM-ports. And screenshot of the error. rajeshputta wrote: while connecting through PC to OPCA-02 cable to ABB ACS550 drive, it shows error CRC. 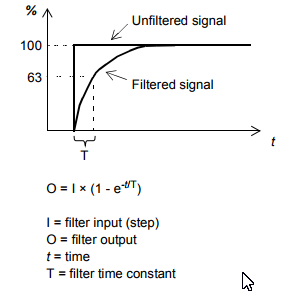 Check the parameters of your COM-port and drive. Two years gone.. So it would be perfect, if someone who have this program could share it. P.S. 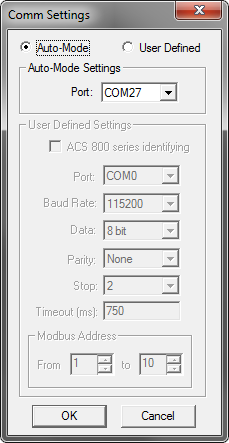 For those who interested, this program is using for downloading firmware in ABB drives: ACS310-ACS550. Hello everyone, may be somebody have this program and can share it?